If you grew up with social media and video platforms, it’s probable that you’ve heard about a couple influencers such as Shane Dawson (Shane Yaw) or PewDiePie (Felix Kjellberg). There is a good chance that at some point in your cringeworthy past, you’ve seen quite a few “Jenna Marbles’” videos. Whether it’d be “How to trick people into thinking you’re good looking” or “White Girls At The Club,” one thing is for certain: she is hilarious and relatable to millions of people. However, in recent years Jenna has made a miraculous change in her beliefs and overall personality since moving to Los Angeles, California. Jenna & her partner Julien Solomita live together with three dogs and a hamster under their roof, where they have multiple Youtube Channels including a Podcast where they, at times, talk about important issues. In “Reacting To My Old Videos (300th Video)”, Jenna looks back at her previous videos and notices the racism and misogyny she used to put out for the world to see. She responds to criticism and comments putting this to light with: “I’ve said words in the past that just aren’t okay. A lot of my older videos, like, I said some words that are just offensive. I think having a comment section and always reading the comments has helped me a lot as a person. 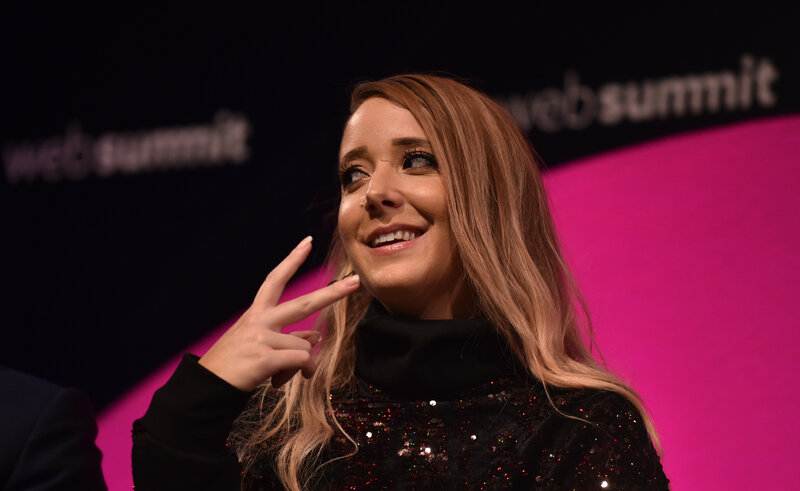 You know, kind of grew up and realized that I don’t want to talk like that, I don’t want to be like that, I don’t want to use those words that I used and I stopped.” Unlike many influencers who would just cut the problematic parts out, Jenna actually cares about the image she puts out there and the ways she can affect the younger audience. She has matured as both her online persona and herself. Not long ago, Jenna & Julien went to a pet store and bought a school of fish with a special tank and many over-the-top decorations. They wanted to make the most of the fish and made sure they would enjoy the life they had. The pair also does this with their pet hamster Ad, proven in both “Making Tiny Things For Our Hamster” videos. Jenna spent hours making sure everything was ready for the fish, and that they would accustom to their new tank. Her biggest fear came to life when she woke up the next day to find that they’d all have died in the tank that was supposedly supposed to be perfect for them. This struck a major deal to Jenna in ways most people wouldn’t understand because not only does she have a great love for animals, she is a vegan and rejects any form of animal cruelty. Though this is not her fault, she claims great guilt for the loss of the fish. She even deleted the video after she found them dead, and proceeded to post a 47-minute long video titled “What Happened To My Fishies Video.” She sits down, admits her mistakes, apologizes and shares her feelings about her fish while also informing people of what not to do when it comes to new pets. This may seem unnecessary to some people, but you need to put this in comparison with younger influencers like PewDiePie. If you’ve been living under a rock, Felix has been under controversy due to him saying “you f*cking n*gger” on a live stream in front of tens of thousands of fans. He used a word with such disgusting background where it was used to dehumanize slaves, and then posts a 1:35-minute long video titled “My Response.” Sadly enough, he has not lost a major portion of fans and is still one of the top trending Youtube channels out there. Jenna Mourey should be looked at by every influencer when a mistake is made, no matter how small it is. She is a kind-hearted person who respects everyone of different cultural backgrounds and shows a great amount of civility when she is in a foreign land. You can hear about her experiences in Japan and Jenna & Julien’s views on the Logan Paul situation here.